Alaska and most of our country has been unusually hot this year—the hottest year on record for Fairbanks, Anchorage, and Juneau, Alaska, actually. The entire state has been about 10 degrees hotter than usual. 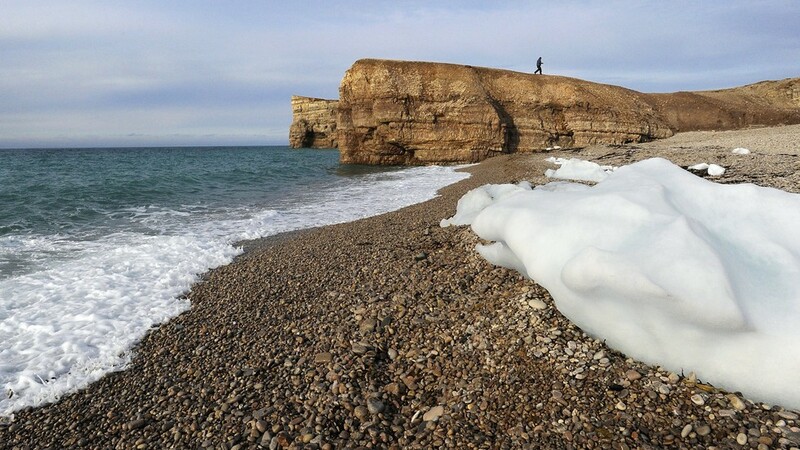 Even for the fast-melting Arctic we have reached "uncharted territory." During the past 25 years and 70,000 miles, I have sailed on small sailboats to some of the remote edges of planet Earth. As a documentary photographer, I first ventured out over the horizon to record beautiful images of adventure travel that could not be captured through any other means than by sail. This was very rewarding to me but at the same time I also started to better understand the Earth's weather and climate systems. 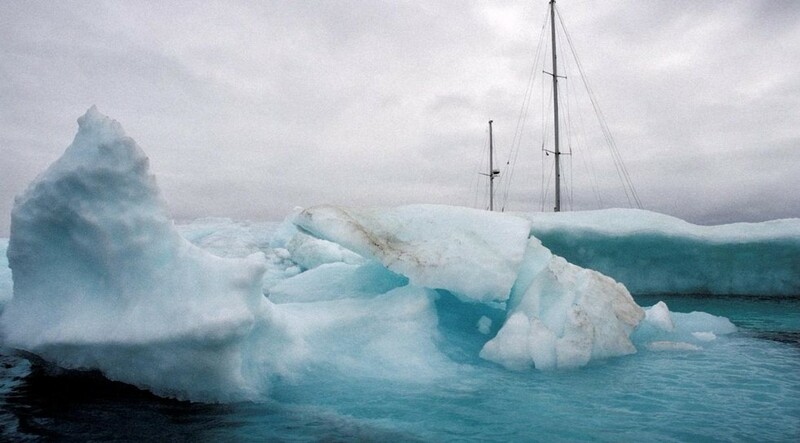 By 2007, just 13 years after being trapped in the ice of the Arctic's Northwest Passage, our crew of six sailed the entire length from east to west and never touched a piece of ice. We became the first American sailors to accomplish this infamous 7,000-mile route from the east but understood that we were assisted by a quickly altered Arctic environment containing less ice. Twenty-two years ago, our 57-foot sailboat, Cloud Nine, set sail for the Northwest Passage from east to west—for centuries, explorers have set out to meet this same challenge and many have died trying to attempt to navigate its risky passage. In 1994, we set sail bound and determined to beat the risks and treacherous conditions of the passage—but that year, there was heavy pack ice choking off all routes. We were forced to abandon our voyage and make our retreat out of the Arctic. When people think of the Arctic—they think of ice and the wildlife that depend on the ice. Iconic animals—like polar bears, walrus, seals—are all ice-dependent. In 1994, Cloud Nine discovered a very normal northern ice pack that still supported healthy ecosystems for these animals and others. In 2007 we attempted the same trip. This time, we discovered little to no ice in the Northwest Passage. 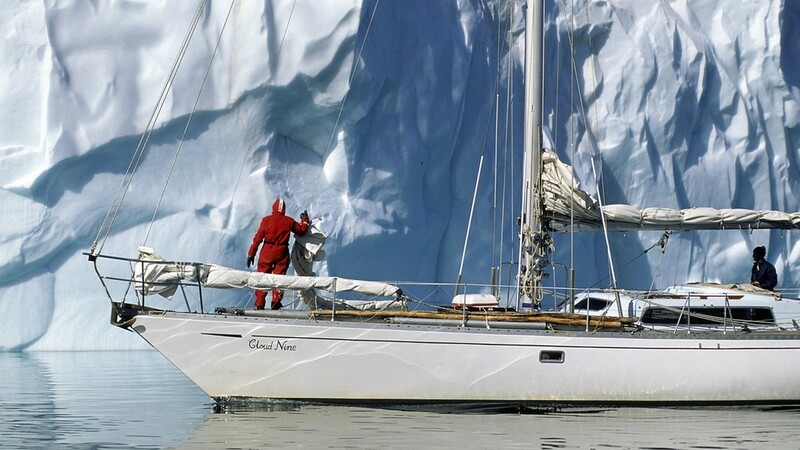 Can you believe that the nearly 7,000-mile voyage took only 73 days and Cloud Nine never touched one piece of ice? We became the first Americans to complete the east-west transit of the Northwest Passage—with a bit of help from the changing Arctic climate. In the 13 short years between those two sailing expeditions to the far north, there had been a 40 percent loss of summer sea ice in the Arctic Ocean. That is a 40 percent loss of our North Polar ice cap. Human activity is having a profound and sudden impact on our planetary climate systems and the Arctic is experiencing the most rapid and visible change. The photo above is becoming more and more of a personal memory, captured by my camera and less reflective of what I have come to understand about the facts on the ground in the Arctic region today. Polar bears and other wildlife, as well as the people of the Arctic, are feeling the impacts of climate change and melting ice. Less ice means less rest and less safety, for polar bears. Alaska Dispatch News reported on a new study that shows that polar bears are spending less time on the ice and more time on land. 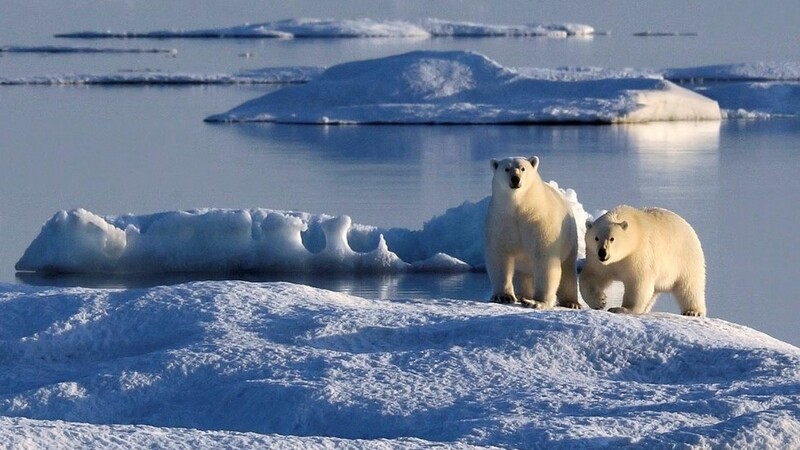 In fact, polar bears in the southern Beaufort Sea population are now three times as likely to come ashore in summer and fall as they were in the mid-1980s. The bears that come ashore are also staying there much longer than bears did in the past. The study attributes this to big reductions in summer and fall sea ice and found that it has happened over the past decade and a half. This is bad for people, too—hungry bears spend more time roaming the land—putting them in closer contact with people in small coastal communities. through the Arctic Ocean. The signs of human impact on our climate are everywhere in the Arctic. If we want to protect what is left of our melting world, we need to start now by saying no to new offshore drilling and stopping the drill bit for existing leases. We are cautiously awaiting the answer on the development plan for the Arctic—where there are two new leases planned—one in the Chukchi and one in the Beaufort. The Arctic is fragile, beautiful, harsh, demanding and is a special place to protect—we must all advocate for our public lands and waters. We need to make better choices and protect those places, wildlife and people that are most vulnerable to climate change. The Arctic Ocean is one of those places. President Obama has been to Alaska himself and seen the beauty of the land, people and its waters. Protecting our climate and protecting the Arctic are intrinsically linked and we can no longer stand by and pretend that we don't see the impacts of humans on climate change and the Arctic. People ask me if I ever get tired of photographing ice. They think it all looks alike. I ventured out to the remote edges of the earth to illustrate and bring awareness to the beauty and contrast that make up the Arctic landscape. 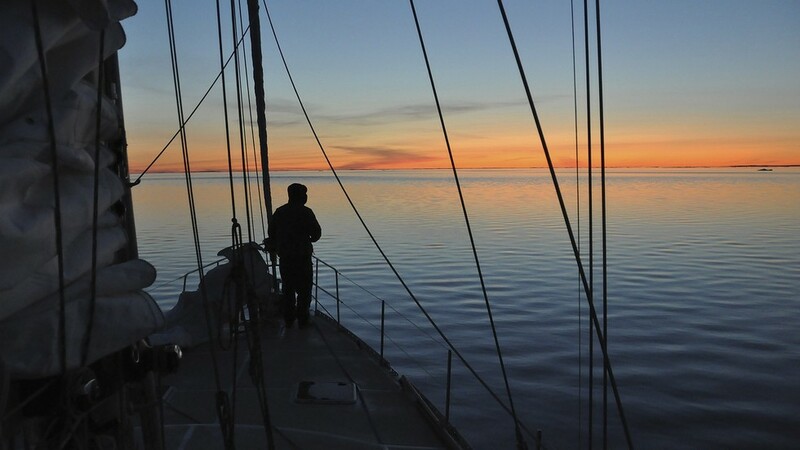 When sailing the Northwest Passage from east to west, one first sails the icy coast of West Greenland. Here our crew learned how icebergs are born from massive coastal glaciers which drain the ice of the Greenland ice cap. The interface of the land and ocean is changing in the Arctic. What was once more solid and dense sea ice is succumbing to warming waters and land masses. This perpetuates a "positive feedback loop" where darker ocean and land keep melting more ice. 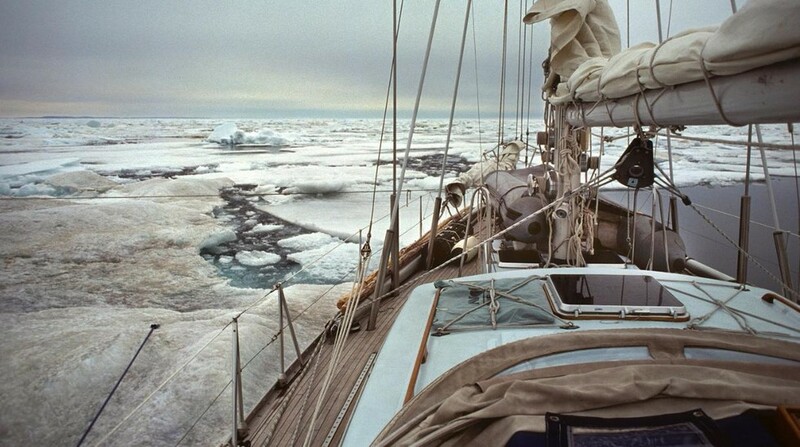 When we completed the historic Northwest Passage in 2007 I wrote in my journal, "I have witnessed the end of an era. The Golden Age of exploration has come to a close and a new era, involving the study and change of the earth's climate systems, is just beginning. I have bridged the two eras." 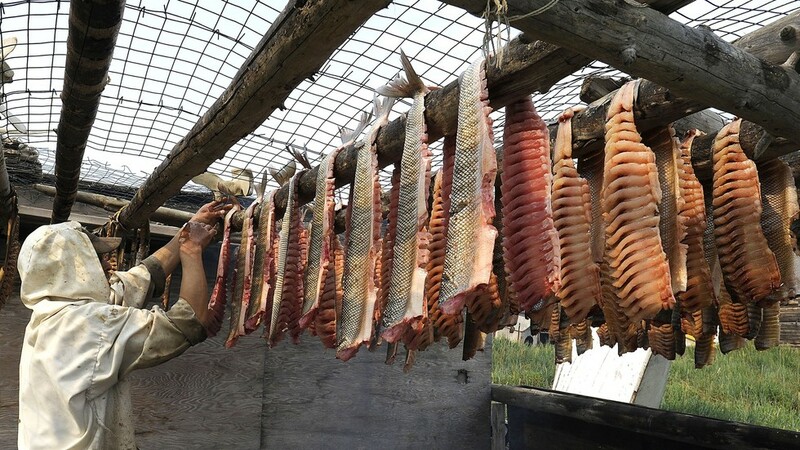 Inuit hunter and fisherman Wayne Thrasher tends to his catch of whitefish from the remote Canadian Arctic village of Tuktoyaktuk. Wayne speaks to loss of traditional ways of life and culture as permafrost ice caves melt, diet changes and children no longer wish to learn generational trades. David Thoreson is a documentary photographer and the first American to sail the Northwest Passage in both directions. He has authored a book called Over the Horizon. June was the warmest on record since 1895 in the U.S., with a monthly average temperature of 71.8 F in Lower 48 states, 3.3 F above normal. According to the National Oceanic and Atmospheric Administration (NOAA), there have also been eight weather and climate disasters with losses exceeding $1 billion each in the first half of the year—a combination of severe storms and massive flooding. In the Arctic, sea ice extent plunged 100,000 sq. miles below the previous record low set in June 2010, the National Snow and Ice Data Center (NSIDC) showed. The sea ice extent was 525,000 sq. miles below the 1981-2010 long-term average. From mid-June onwards, ice cover reduced 70 percent faster than typical rate of ice loss, at an average rate of 29,000 sq. miles a day. 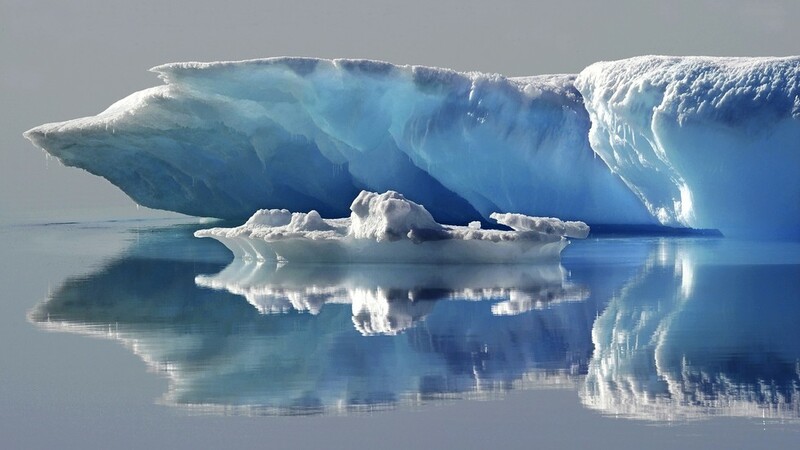 The polar waters of the Arctic and Antarctic are in jeopardy as a result of substantial delays to the development of environmental protection rules which will reduce the impact of shipping on these delicate regions. Last week the International Maritime Organization1 shelved the development of environmental protection rules until 2013. This major setback for polar environmental protection came about as a result of procedural objections by flag states2 despite the efforts of most Arctic states and Antarctic treaty states to make progress on environmental protection. "As a result of this decision, the completion of a mandatory Polar shipping code covering both safety and environment protection will fall further behind schedule, and indeed, there is a very real chance that environmental protection could be scuttled altogether," said James Barnes, executive director of Antarctic and Southern Ocean Coalition (ASOC). Both poles are extremely sensitive to environmental disruption and have an important role regulating the global climate. As the global climate changes, the poles are experiencing the most rapid warming of anywhere on earth and sea ice is retreating in most polar regions, making those waters more accessible to shipping than ever before in human history. The numbers of ships using the Northwest Passage and Northern Sea Route, to the north of Canada, the U.S., Norway and Russia, is increasing each year. The Arctic in particular is expected to experience a significant increase in resource exploitation and shipping volumes, which are likely to exacerbate climate-induced problems. Environmental regulations for shipping are necessary to ensure that the volume of pollutants such as oils, chemicals and sewage being discharged by increased shipping into these pristine waters can be minimized. In addition, rules are needed to ensure that disturbance of wildlife and coastal communities is kept to a minimum and major oil and chemical spills are avoided. "Last week's decision is badly flawed," said Mr. Barnes." 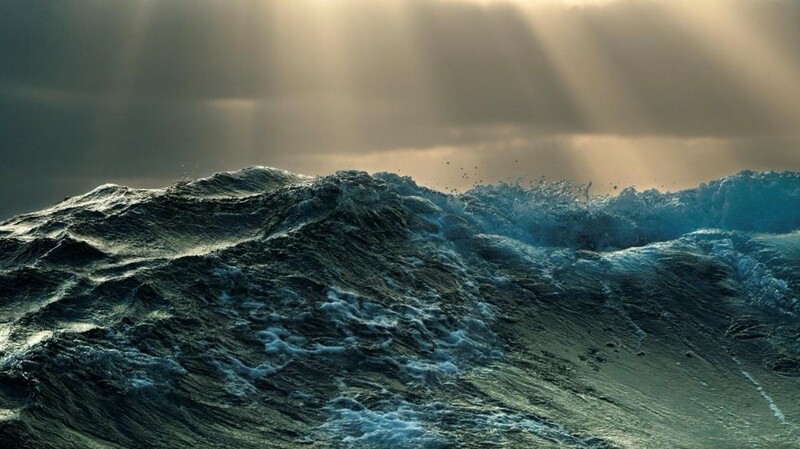 Action is required sooner rather than later to ensure adequate environmental protection is in place as more and more ships use these remote, hazardous and vulnerable waters. Operational pollution from shipping and accidents could irreversibly damage these globally important sensitive ecosystems and polar wildlife is already under massive pressure from the changing climate." "IMO member governments have an obligation to develop proactive environmental protections for our poles, and we hope that it won't take an Exxon Valdez or Costa Concordia-type disaster in polar waters before real regulatory action is achieved in these vulnerable regions," said John Kaltenstein, marine program manager at Friends of the Earth U.S.
"It is imperative that the IMO brings countries together to finish developing a mandatory Polar Code, which must include strong environmental protections," said Shawna Larson, Chickaloon Village Tribal Member and Alaska program director for Pacific Environment. "Indigenous Peoples who have lived in these Arctic coastal communities since time immemorial are highly dependent on a clean Arctic Environment for their traditional ways of life and their food sources. Without strong environmental protections in the Polar Code, Indigenous Peoples traditional ways will be at risk." 2. Flag States are the countries which flag ships and are then expected to enforce the globally adopted shipping regulations relevant to the ships flying their flags. 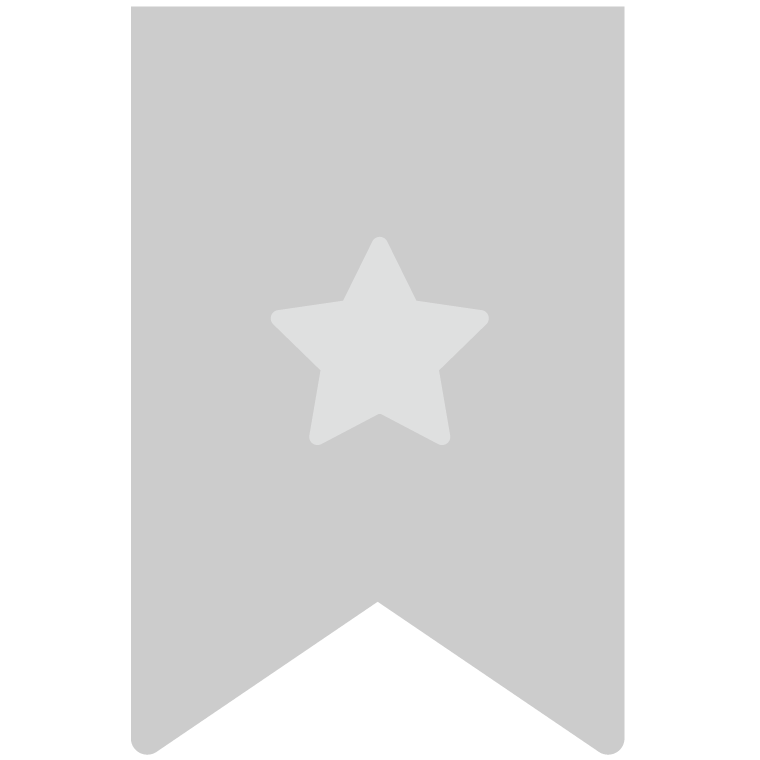 The global average temperature in 2011 was 14.52 degrees Celsius (58.14 degrees Fahrenheit). According to National Aeronautics and Space Administration (NASA) scientists, this was the ninth warmest year in 132 years of recordkeeping, despite the cooling influence of the La Niña atmospheric and oceanic circulation pattern and relatively low solar irradiance. Since the 1970s, each subsequent decade has gotten hotter—and 9 of the 10 hottest years on record have occurred in the twenty-first century. Worldwide, 2011 was the second wettest year on record over land. (The record was set in 2010, which also tied 2005 as the warmest overall.) Heavier deluges are expected on a warmer planet. Each temperature rise of 1 degree Celsius increases the amount of moisture the atmosphere can hold by about 7 percent. Higher temperatures also can fuel stronger storms. Brazil started the year with the deadliest natural disaster in its history—in January, a month’s worth of rain fell in a single day in Rio de Janeiro state, leading to floods and landslides that killed at least 900 people. That same month, flooding in eastern Australia covered an area nearly the size of France and Germany combined. Overall, it was the third wettest year in Australia since recordkeeping began in 1900. The 2011 Atlantic hurricane season had 19 named storms. Hurricane Irene brought extreme flooding to the northeastern U.S. in August, with total damages topping $7.3 billion. The year was the wettest on the books for seven states in the country, while it was among the driest for several others. Although the extremes appear to balance out, making for a near-average year, in fact a record 58 percent of the contiguous U.S. was either extremely wet or extremely dry in 2011. For the continental U.S., summer 2011 was the second warmest in history. Nearly three times more weather stations hit record highs than lows in 2011, in line with a trend of increasing heat extremes. Whereas in the middle of the 20th century there were close to the same number of record highs and lows—as would be expected absent a strong warming trend—in the 1990s highs began outpacing lows. In the first decade of this century, there were twice as many record highs as record lows. Worldwide, seven countries set all-time temperature highs in 2011—Armenia, China, Iran, Iraq, Kuwait, Republic of the Congo, and Zambia. Interestingly, Zambia also was the only country to experience an all-time low temperature when it dropped to -9 degrees Celsius (16 degrees Fahrenheit) in June. Kuwait experienced the year’s highest temperature, with thermometers measuring a searing 53.3 degrees Celsius (127.9 degrees Fahrenheit), the highest temperature ever recorded on Earth during the month of August. Even more threatening to health than daytime highs are extra hot nighttime minimum temperatures, which do not allow any respite from the heat. The world’s hottest 24-hour minimum ever—41.7 degrees Celsius (107 degrees Fahrenheit)—was recorded in Oman in June 2011. In fact, over the last 50 years temperatures in the Arctic have risen more than twice as fast as the global average, melting ice and thawing permafrost. Arctic sea ice has been shrinking more rapidly, falling to its lowest volume and second lowest area on record during the 2011 summer melt season. With the summertime ice loss outpacing wintertime recovery, Arctic sea ice has thinned, making it increasingly vulnerable to further melting. 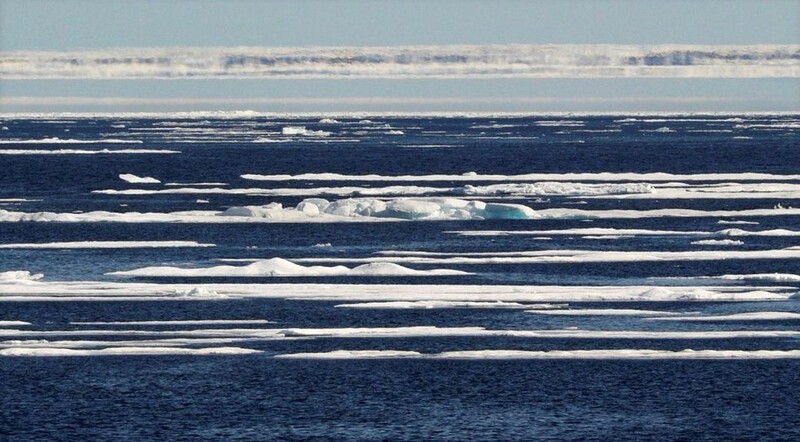 Scientists expect a completely ice-free summertime Arctic by 2030 or even earlier. In what has become an alarmingly regular occurrence, the Arctic set another record for high temperatures in 2011. According to new data from the U.S. National Aeronautics and Space Administration (NASA), 2011 broke the previous record, set in 2010. The region's temperature has been rising rapidly since the late 1970s. Arctic air temperatures have risen at almost twice the rate of the global average rise over the past few decades. This arctic amplification of global warming is largely due to reduced surface reflectivity—and greater heat absorption—associated with the loss of snow and ice, especially sea ice. As a result, most summer sea ice is projected to disappear by 2040, leaving only a small fringe of summer ice in Northeast Canada and Northern Greenland. Summer sea ice is important habitat for Arctic wildlife, and its decline opens previously inaccessible areas of the Arctic to shipping and industrial development. Global temperature data released by NASA indicates that global surface temperatures in 2011 were the 9th highest on record, and that the warming was especially concentrated in the Arctic. "We know the planet is absorbing more energy than it is emitting," said James E. Hansen, director of NASA's Goddard Institute for Space Studies. "So we are continuing to see a trend toward higher temperatures. Even with the cooling effects of a strong La Niña influence and low solar activity for the past several years, 2011 was one of the 10 warmest years on record."